Consumer Electronics Show has been the gaming peripheral manufacturer Razer’s choice for announcing some of its interesting products over the years. 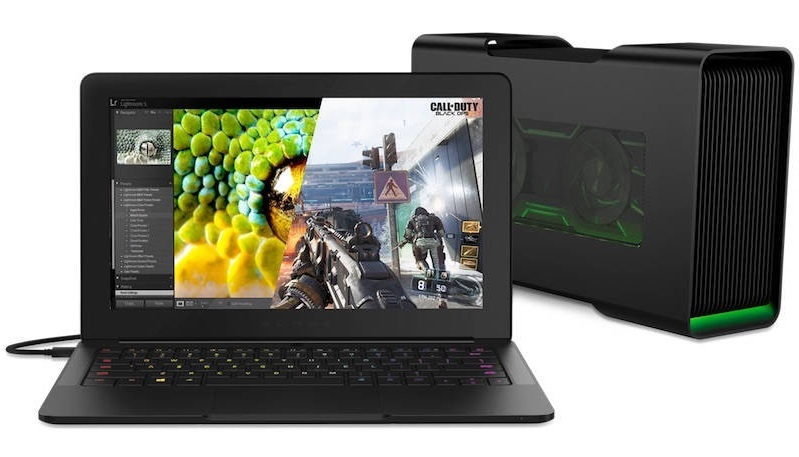 We saw the Forge TV, Open Source VR, and a host of peripherals and, this time, the attraction is Razer Blade Stealth – a gaming laptop sporting netbook-like dimensions, Razer Core Graphics, and Stargazer Camera. To give you a better gaming experience there is Razer Core. Razercore is an external enclosure that lets you house a full-length discrete graphics cards such as Nvidia’s 980Ti or AMD’s R9 390X. We can easily plug Razercore to the Blade Stealth via Thunderbolt 3 and you have a fairly powerful gaming laptop, albeit not one as portable as you’d like. The game is not over here as the company also showed off the Stargazer webcam powered by Intel’s RealSense 3D camera. It can automatically remove background surroundings and add a green screen. The Stargazer also records at 60fps, making it appealing to streamers. And Windows 10 users can log into their PCs with their face. This is because of the camera which makes use of the Windows Hello feature of Windows 10. You can also use it to launch games via gestures. The Razer Blade Stealth starts from $999 (around Rs. 67,000) and can be purchased right now with it being in stock at the end of the month. Keep in mind that it’s only for the US at the moment via Microsoft Stores and Razer’s own website. So far, Razer has not said when it will be available outside the US. The Stargazer is slated for release later in the year and will be priced at $199.99 (approximately Rs. 13,390). As for the Razer Core, it has no price although it is expected this year.